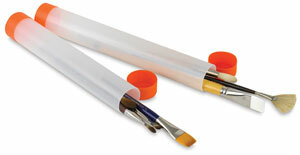 Made of tough plastic, this handy tube holds dozens of small brushes or several large ones. It's also great for carrying artwork or important documents. It's so economical you can own several!